Moments of Tranquility... by Natasha Naranjo Aguirre: Zva Creative February Blog Hop! Happy Monday to you! Zva Creative and our talented Design Team welcome you to our February blog hop! We are very excited about month's hop and are excited to share our new work with you! 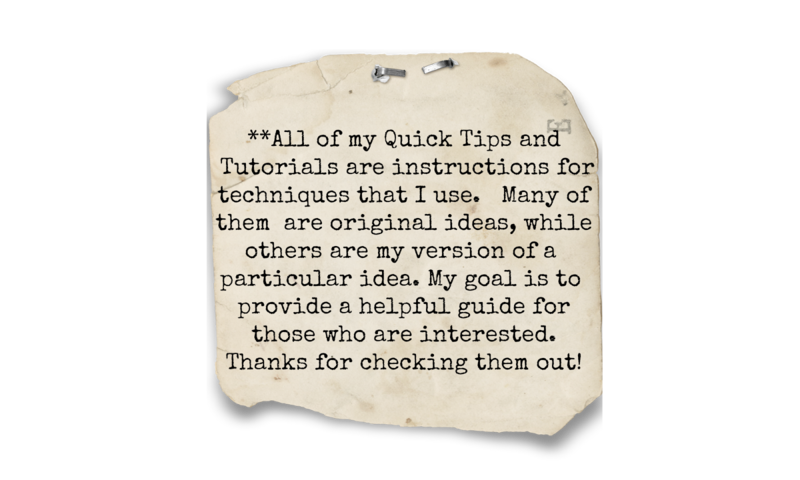 Today's Blog Hop begins at Zva Creative's blog! Be sure to head on over to check it out! Since many of us live in different time zones around the world, you will find a complete list of all the participating blogs there (in case there is a glitch along the way). For my project, I decided to alter an old door plaque that I had bought for my daughter years ago. She's VERY girly, so of course it had to have lots of pink! This is the original plaque. It needed 4 layers of gesso to cover those bright colors! I added texture to the background by applying muslin and lace. Then I inked the entire plaque with these lovely colors. I mixed Natural Sand medium with paint and applied it to random areas. This large chipboard chandelier is manufactured by The Dusty Attic. I altered it by dabbing it with white paint, embossing it with an iridescent embossing powder and texturizing it with Glass Beads Gel. Then I decorated the chandelier with beautiful Zva crystals! How lovely are these pink flourishes? My daughter was so ecstatic when she saw them! The large flower is also made by Zva Creative and it comes with that 'distressed' look with painted edges. These are one of my favorites! The large Zva Creative rhinestones that I tucked into my floral clusters make beautiful accents. The Blog Hop starts today, February 25th and runs through midnight US Eastern Standard Time on Tuesday, February 26th. The 5 winners will be announced on Wednesday, February 27th on Zva Creative's blog. We will do our best to notify each winner, but it's best if you can pop in to Zva's blog on Wednesday to see if you are a winner! *Hop over to Zva's facebook page and "like" our page or leave a comment there to tell us that you stopped by. 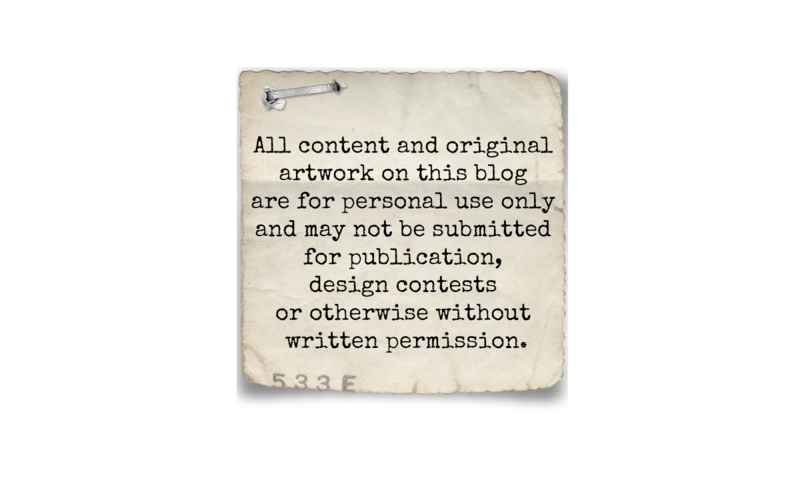 The blog hop begins here at Zva Creative's blog. Your next stop is Justina Tey. Enjoy! P.S. Mark your calendar to join us again on March 25th for our next Zva blog hop! Stunning! Love the way you use pink crystals. Your flower clusters are always so gorgeous!! love this-the colours on the muslin are fabulous and the whole thing is so feminine and pretty! So many wonderful details to drink in! Saying it is beautiful does not do it justice! Incredible! Thanks for sharing with me! 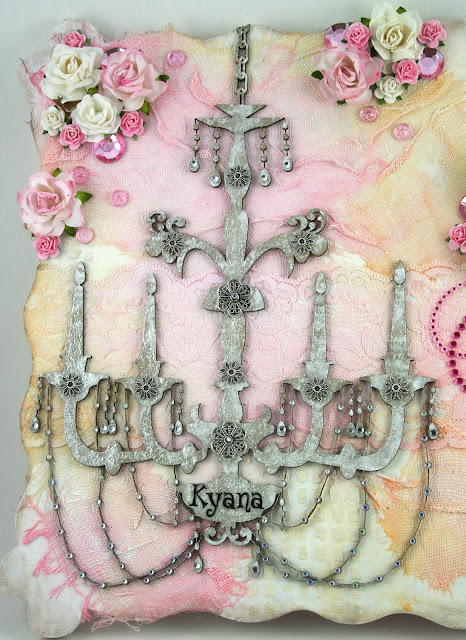 Wow, this canvas is a lot more than just 'pretty in pink' - what a gorgeous piece of art! Beautiful work. THE mixture of textures and colors along with the beautiful flowers and bling are fabulous. Great job. Gorgeous plaque. What a great upcycle!! So creative. Love the colors, the flowers, the bling, your techniques are beautiful! Wow! What a transformation! I love the soft colors you chose...and all that yummy texture from the layers of gesso. Beautiful! I love the colors and textures your used. So pretty, love the pink, very creative...by the way love your blog!!!! Love how the stars follow the icon. Too cute! So Beautiful!! Love the colors, textures and embellishments!! TFS! Hi Natasha...it's me your regular visitor and very impressed with your new blog design :) I'm sure your girl adores her door plaque; I love it! TFS as always. (Would not say it I didn't mean it), and this is my next stop for some DA chippies! Can't wait! Beautiful creation! I love the chandelier! Love how you altered this! Второй раз зашла, цветы действительно восхищают. Согласна с Вашей дочкой. Love the "fairy tale" quality of this oh so lovely project! You decorated the plaque beautifully! Love the textures and details you put into it. Thanks for sharing.